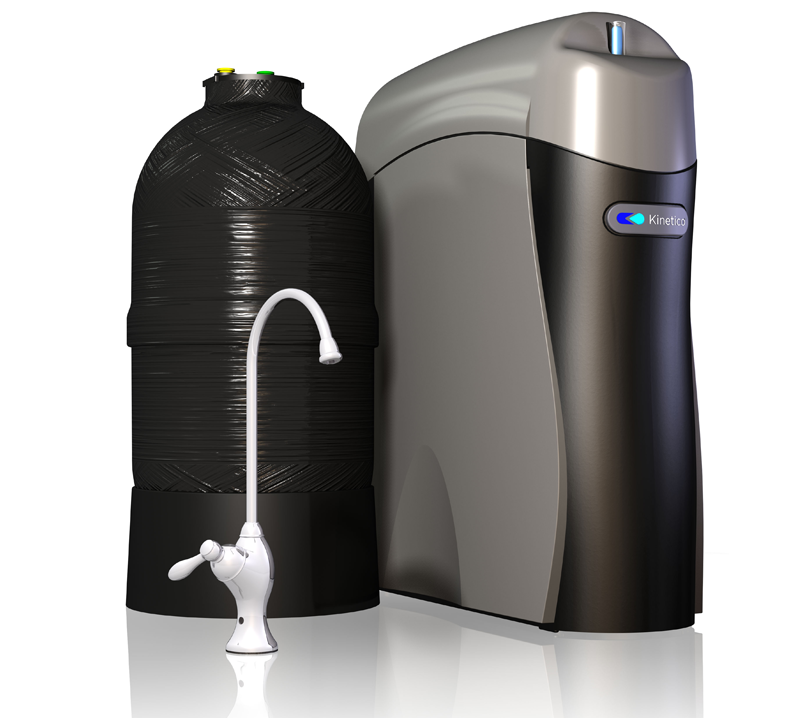 Only one drinking water system is so advanced that it can remove nearly everything from your home’s drinking water that isn’t water: The Kinetico K5 Drinking Water Station. The K5 is smartly designed to be convenient and economical, provide an abundant supply of high-quality water, be easy to use and maintain and provide the best-tasting water. What makes the Kinetico K5 Drinking Water Station® different? Additional features like the MACguard® Filter and PureMometer® Filter Life Indicator let you know when it’s time for filter changes and prevents you from pushing the filters past their capacities. Quick-disconnect filter cartridges make changing filters a snap. You can customize the filters in your K5 according to the specific water challenges you’re facing now or that you may encounter in the future. The K5 features QuickFlo® technology to deliver strong, steady stream of high-quality water when you want it. Fact is, the K5 produces more water faster than any other comparable system so you won’t need to ration or wait for your water.